If I’m honest I’d have to admit that I had this one sentence going through my head for quite some time: “In light of continuing very high security risks and recurrent fighting we are advising against traveling to the Central African Republic. In the year of 2017 the security situation has worsened.” The travel warning of the Federal Foreign Office for the Central African Republic can be found online (see https://www.auswaertiges-amt.de/de/zentralafrikanischerepubliksicherheit/226450). Since 2012 no one from EBM INTERNATIONAL from Europe has gone to the country that is in the middle of the black continent. Luckily our regional representative Magloire Kadijo who lives in Cameroon has had regular contact with the leaders there. Now, after being in close contact with the church leaders in Bangui it was time to go there myself. Now I can tell you about the impressive encounters I had there! For the first time I am at the Maison Dorcas. 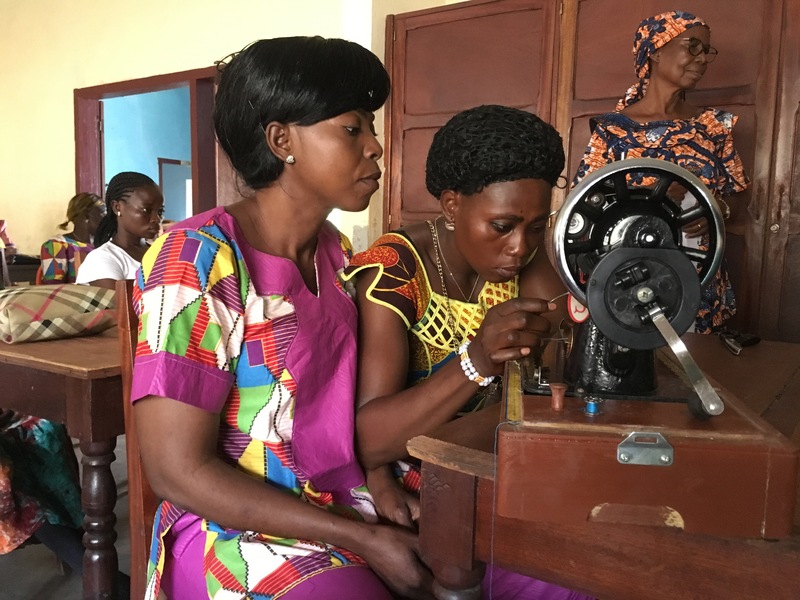 It is a training center in Bangui where young women get a degree in tailoring or they are learning the basics in the area of housekeeping. “I want to make a difference in the lives of young women!”, the director Anne Mousa tells me proudly. About 20 of the 113 trainees are there today. They deliberately came all the way out here though they are on holiday. Their stories are similar. They are young and often single mothers that have spent very few years in school. 75% of the people in this country don’t know how to read or write. That’s for sure for the women that are sitting in front of me. All of them are saying: “I want to learn more! 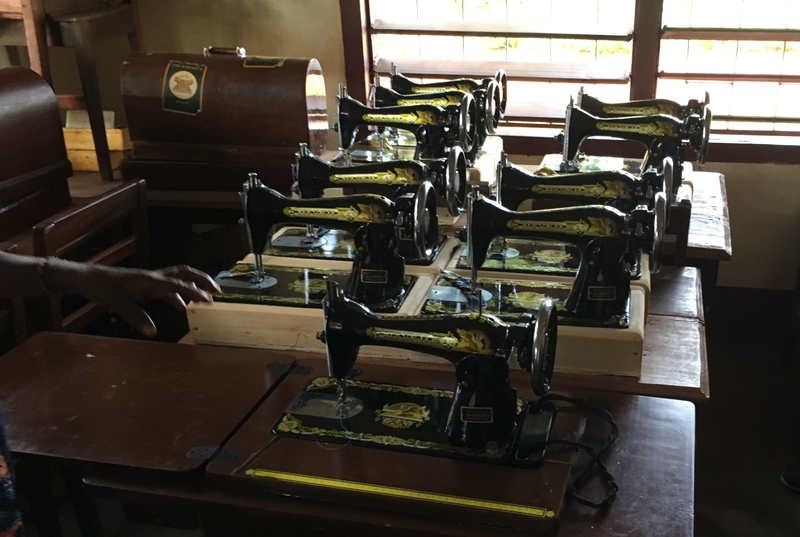 This will change my life!” Thanks to a special offering at our mission council in May we were able to buy 10 sewing machines worth €1,350 for this project. This way they have twice as many sewing machines in Maison Dorca now and that is wonderful. Then I met Raissa. She is the wife of the pastor and she’s in her second year studying theology at the Bible school in Bangui. EBM INTERNATIONAL has been supporting her for many years and also helps paying for the salaries of the teachers. We also enable the studies of many men and women who without the financial support wouldn’t be able to do this. 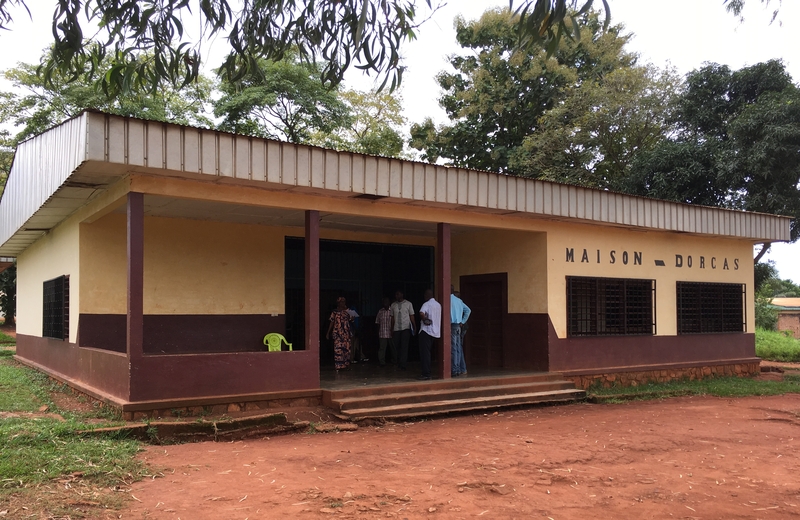 More than 500 women and men have graduated here in Bangui already. 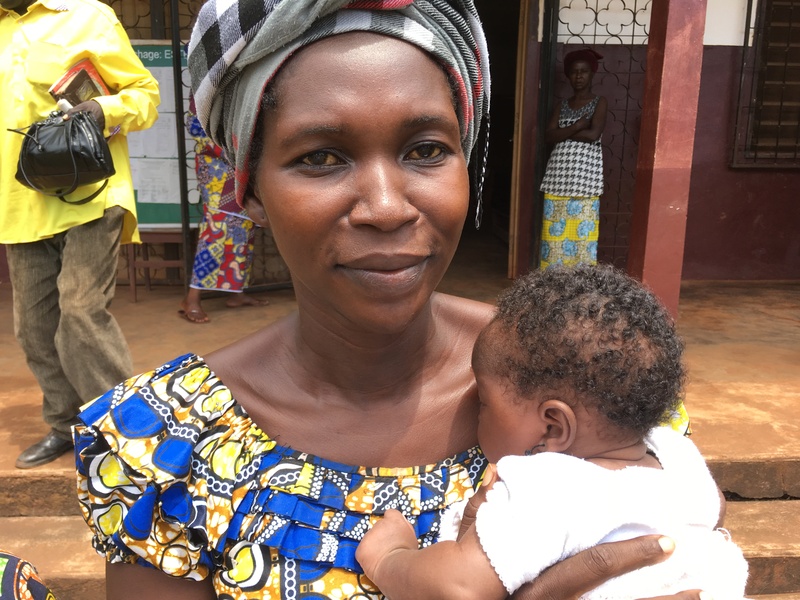 Women, just like Raissa, that are telling me with excitement that it takes someone like them to share the good news with so many other women in the country. She has so much passion, holding the four week old baby in her arms and it’s overwhelming. She’s another woman who is taking hold of a notebook. She wants to meet women eye to eye and she knows that she is the right person for this job. 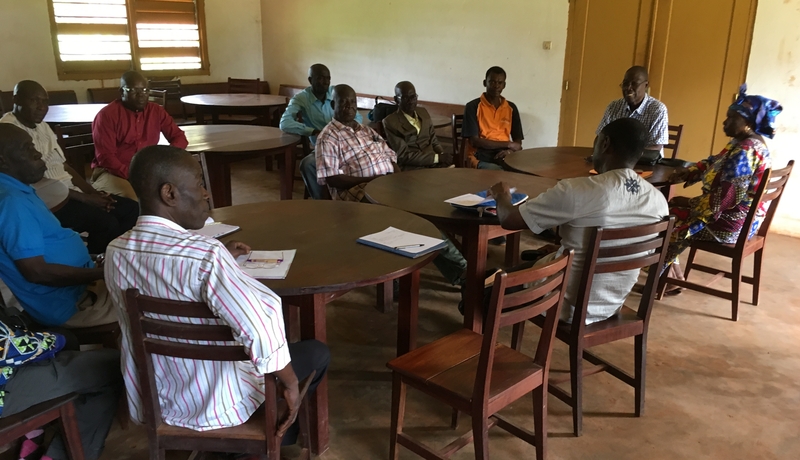 Pastors are making an immense difference in the companies of our partners. Just like the numerous projects in the areas of competence promotion that we have been supporting. 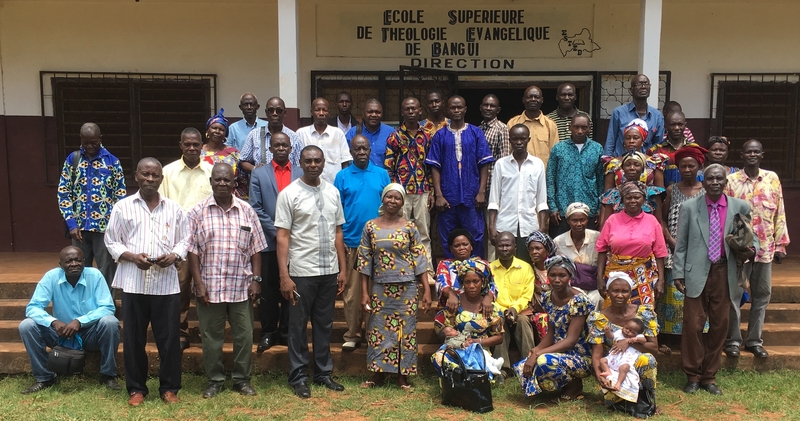 The work we are doing with EBM INTERNATIONAL and with our partnering churches is a ray of hope for me – even in the poorest country in the world.